We fully took advantage of the glorious sunshine this week with a gentle stroll around the village. At the risk of sounding like I am about 63, I do love a stroll! It costs nothing and gets you out of the house plus it gives you and your other half (or friend, sibling etc.) time to chat and catch up just in case life has got in the way and you haven't had the chance. I am not a fan of leggings in the slightest simply because they don't suit my figure and I have seen far too many peoples knickers thanks to their unawareness of how transparent they are.... they are never nice knickers either! Leggings were my best friend in the latter part of my pregnancy and while I recover and while my jeans dont fit they are still helping me out. Plus at £3 from Primark they have long paid for themself so when I eventually throw them away I wont be too bothered. Anyway, when wearing leggings I make sure my tum is covered (and my bum to avoid knicker exposure). I am not skinny and do not have a flat tum so wearing leggings as trousers will result in me looking like a sausage bursting out of its skin. 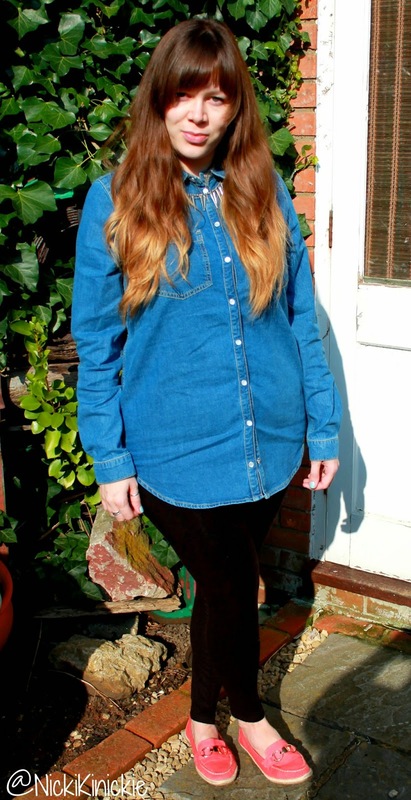 This denim shirt from River Island is perfecto to wear and I love it! 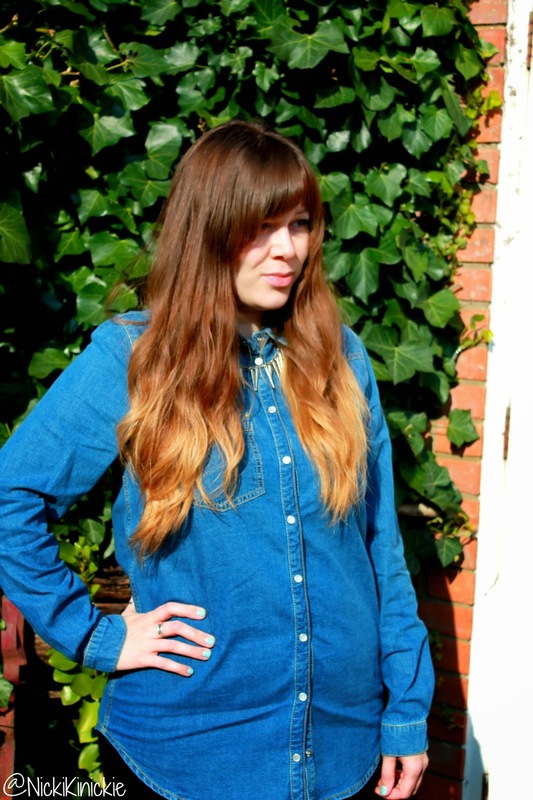 I am currently loving denim shirts, they are casual but stylish and go with so much especially as there are so many great trouser trends around right now whether they be floral, gingham or whatever. I am pleased with how it fits already as being bigger busted I worried that where I have a bit of pregnancy weight to shift it could be tight and I like shirts to be oversized but it fits well and will be more oversized when the extra weight is gone.